Congratulations to our winners for this month's blog giveaway! Raveler EvilSquirrel said, "My crafting plans are to whip up a few pairs of super bright socks for my hubs (since he will now only wear hand knit socks in bright bold stripes) I love Taat on 2 circs! And there will be a scarf OTK for me when I start school this September to be a Nurse!! Hot pink of course." Renee said, "I would be happy to have a set of double point needles. I have several projects to work on from socks and fingerless mitts to shawls and shawlettes." 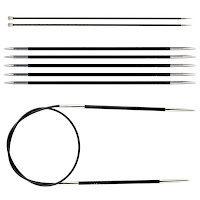 Both of our lucky winners have been contacted to arrange for the delivery of their Karbonz needles. Join us next month for another great giveaway right here on our blog! Clean your needles with a clean, dry muslin or paper towel, then apply a very thin layer of natural bees wax. Allow it to dry and then buff it with soft muslin or chamois cloth. This can also be done using a small amount of cold cream as most cold creams contain bees wax. Alternatively, rubbing your needles with wax paper is also a good option. 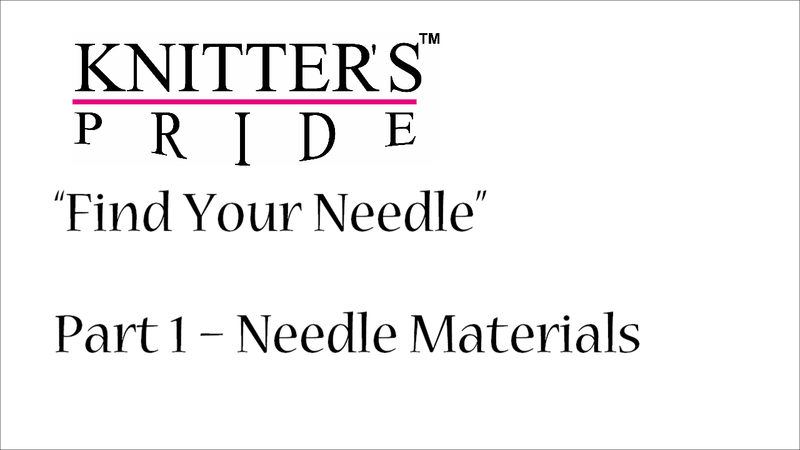 Whatever method you are using for moisturizing the needles, make sure you wait at least 24 hrs before using them again for knitting! Giveaway + Don't Take a Vacation from Crafting! Make sure that your knitting or crocheting isn't the only thing going on vacation this summer! Whether or not you're planning to travel, there are plenty of great projects to keep your needles and hooks happy during the warmer months ahead. Shawls are a great project choice; they can be used on cooler summer nights and will also be handy when the temperatures cool down in the fall. Choose lightweight yarns with cooler fibres such as bamboo, cotton or silk for your next project; here are a few popular patterns from Ravelry.com which you might enjoy! From L-R: Hitchhiker by Martina Behm, Venus by Aoibhe Ni, and Happy Street by Veera Välimäki. Small projects such as socks, hats and handwear are also great to work on during warmer months - you'll be glad you did when winter's chill arrives! 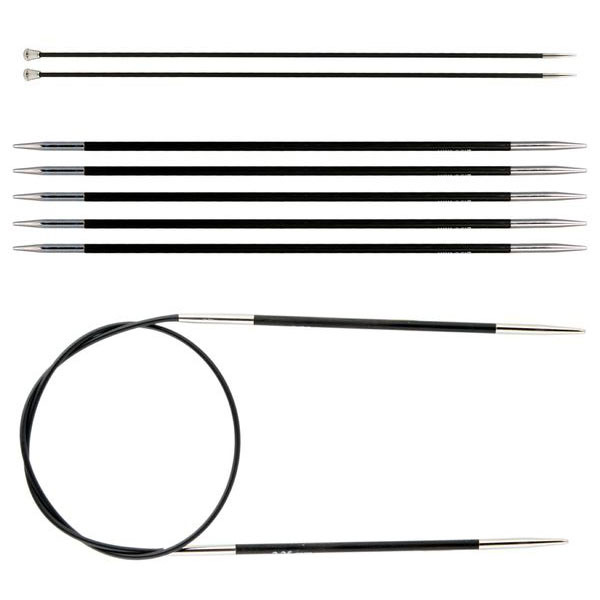 They also are easy to take with you on-the-go, and using circular needles for magic loop means you don't have to worry about losing one of your double-pointed needles while you're out and about! Below are a few popular hat patterns from Ravelry to get you inspired! From L-R: Catkin Hat by Kate Davies, Bonnie Beret by Rachael Oglesby, and Bräcken Convertible Cloche by Kalurah. Finally, small toys are fun to make and are also great gift ideas! Here are a few knit and crochet toy pattern ideas to make your summer extra-fun! From L-R: Amigurumi Dragon by Stacey Trock, Knit Hedgehogs by Purl Soho, and Huggy Monkey by Sayjai Thawornsupacharoen. 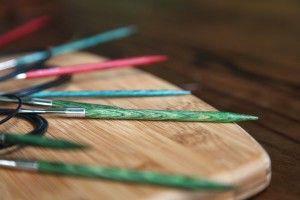 This month, we'll be giving away Karbonz needle to two of our lucky readers! Simply leave a comment on this post telling us your summer crafting plans and which type of Karbonz (single point, double point or fixed circular) you'd like to win! Don't forget to also leave a way for us to contact you if you are the winner (Ravelry ID or email address works just fine). We'll randomly select two winners (one for each prize) on Friday, May 24th! Good luck!